St. Martin's Griffin, 9781250312624, 352pp. 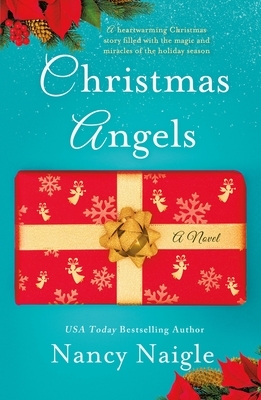 The next heartwarming and inspirational Christmas story by USA Today Bestselling author, Nancy Naigle. Growing up, Liz Westmoreland dreamed of running an inn just like the one her grandparents had in the small mountain town of Angels Creek. While browsing the internet, she stumbles upon the a listing for lodge and it’s set to go to auction…this week. With no time to visit, Liz bids on the inn, sight unseen, and wins. Only when she gets to the inn she finds the property in significant disrepair. With a list of what she can afford to update, she runs an ad for a handyman to help her with the fixer-upper. The only reasonable bid she receives is from Matt Hardy. Matt is eager to reconnect with the freckle-faced girl from his past. As they discuss the job, he’s bringing up old times, but he soon realizes Liz still thinks of him as her best friend’s pesky little brother who was always causing mischief. How can he get her to take him seriously? While working on repairs, she and Matt discover her grandmother’s collection of angels in the cabin that Matt is staying in. When the angels start mysteriously showing up all over the inn, she begins to look at them as reassurance that the inn will be ready to restart the tradition of “lights at the lodge”. When a huge snowstorm hits, making the winding road to the lodge unsafe to drive, will fond holiday memories and the experience of restoring the inn be enough for Liz to realize she's found a home in Angels Creek? And possibly true love as well? USA Today bestselling author NANCY NAIGLE whips up small-town love stories with a dash of suspense and a whole lot of heart. Now happily retired, she devotes her time to writing, antiquing, and the occasional spa day with friends. A native of Virginia Beach, she currently calls North Carolina home.